Are you feeling overwhelmed by the amount of tutorials we offer? Our learning paths will lead you step-by-step through a hand-crafted series of tutorials. You don’t have to find the next tutorial to level up your knowledge, we’ve already laid everything out for you! 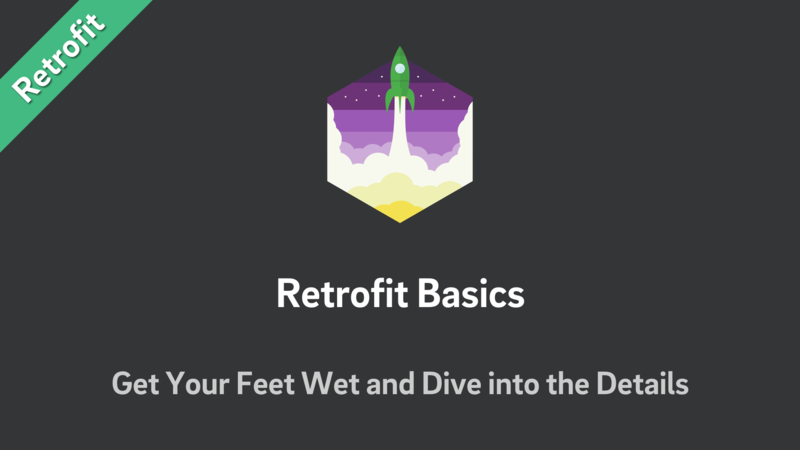 In this learning path you’ll learn how to setup your first Retrofit request, how to interact with an API, how to convert XML and JSON payloads, various parameters and more. If you’re new to Retrofit, this is the learning path for you! In order to be competitive in today's Google Play environment, your app needs to be polished. Images need to be used consistently and loaded smoothly. If your Android app uses images, Glide could be something for you. Every modern Java or Android application will need to do some Java-JSON parsing in their application life cycle. Gson is the most commonly used library to do Java-JSON serialization and deserialization automatically. Data parsing and mapping are complex processes. Gson makes things quite simple, but there are a lot of details that can trip your development up. If it’s crazy data structures, weird variable names or complex dynamic data, you can lose a lot of time on something that should be done in minutes. Gson solves most problems in just a few lines. You just need to know the solutions! You don’t necessarily see yourself as a hapi expert. But know you that learning the insights of this framework is helping you grow. You’ll get to know the details of hapi and parts of its plugin ecosystem by working on a larger project. In learn hapi, you’ll implement a complete platform from start to end.